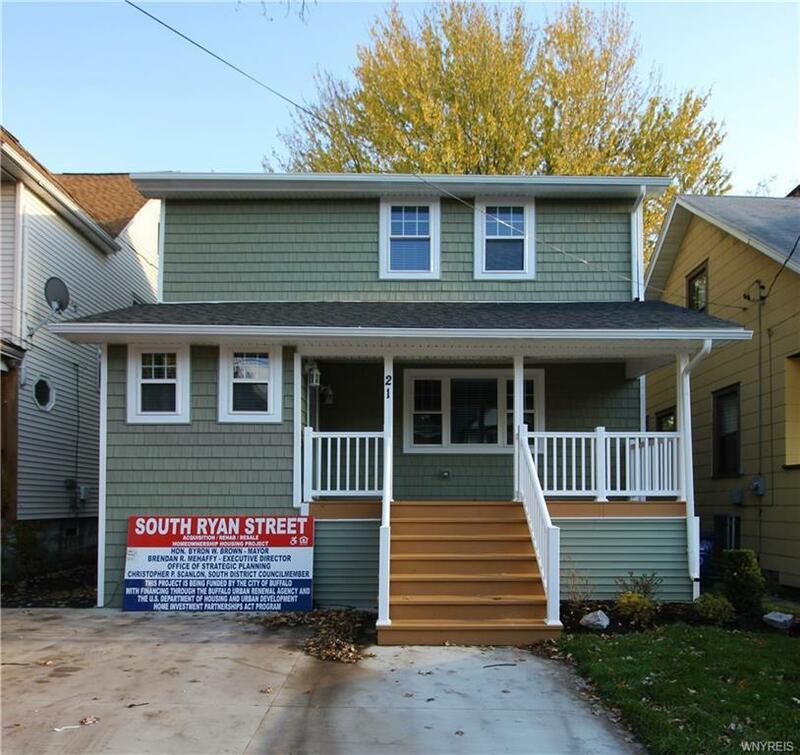 Great opportunity to own a FULLY RENOVATED home in the City of Buffalo! 3 beds, 2 full baths...ALL NEW EVERYTHING. NEW ROOF, NEW ELECTRICAL, NEW PLUMBING, NEW WINDOWS & DOORS, NEW FLOORS & SIDING! High efficiency furnace, spacious backyard, equipped with a deck. This is a MUST SEE! Sits in a Convenient location. This home has EVERYTHING & MORE. This home ownership opportunity is available to eligible first time home buyers who meet required income limits.